Some landscaping company put a business card in my door... again. Now, on the scale of things in my neighborhood, my yard looks pretty dang good. Sure, there is some browning of the front lawn (remember my SAWS blog? ), but with the rains on the way, they’ll fade fast and I’ll have to crank up the old lawnmower again. So no worries there. Maybe they are taking exception to the esperanza and Mexican firebush lining my driveway. Sure, they’re a little overgrown and could use some trimming, but they’re in full flower and I find the mix of reds and yellows among the greenery kind of pleasant. So do the butterflies, bees, and hummingbirds that are still hanging around. Or possibly its my chocolate tree (my regular readers might remember that it’s really a carob) or the leggy roses. I don’t know why they didn’t bush out like they usually do after the spring cut back... it might be due to the extra rain we got this spring. Other than that, my yard looks pretty neat and I’ve had no complaints from the neighbors or the HOA. Still, I keep getting those stupid business cards stuffed in my door. Okay, I know that there’s a lot of competition for business out there... at least there must be judging by the number of different cards that keep finding their way into my door... and my recycle bin after a short trip. It’s not that I have anything against them, I just don’t need them, no matter what they think. You see, when I open my garage, there’s a whole panoply of garden grooming tools from rakes to electric shears. Yep... I’m a fan of hardware stores. Matter of fact, I happily could spend hours there... and, according to my lovely, I have. For me, it’s like a kid’s toy store. I can never get enough. I’m not just a collector, I’m a user. Different tools for different jobs, you know. I’ve got a pole pruner with a saw mounted on it for those small tree branches that are out of the reach of my regular loppers. I’ve got an extension pole mounted chain saw for those bigger branches that I can’t reach with my regular chainsaw. I’ve got small hand pruners for those little pruning jobs like clipping the dead roses so the bushes will keep blooming and I’ve got electric hedge trimmers to keep my border privet, Mexican sage, and oleanders in check. I’ve got a Scott’s spreader for fertilizer and granulated ant killer. Oh... and I have two or three bear traps that I set should anybody decide to break in and try to help themselves to my tools when I’m not there. I’ve found that one mangled footed burglar gets the message to other would-be pilferers out pretty darn quick. It’s better than an alarm system, but I have one of those too. Now, I did do some fall trimming of the trees, but my time was limited because I had a book on deadline. Well, that’s done now. I’m just waiting for that new bin the city is going to deliver to collect organic waste... you know yard trimmings and such. That will make things so much easier. I can keep things trimmed without having my regular garbage can over stuffed. When I do that the sanitary service truck with the robotic arm quite often fails to fully empty it. A couple of bags of garbage tumble out into the truck’s maw, and the operator thinks he’s done, unless I get the good driver who gives the bin a shake to make sure. Anyway, the city will now come pick up my trimmings on a weekly basis so I don’t have to wait for one of the biannual brush pickups. I’ll grant you, I may have over-planted a bit, but who knew that chocolate tree was going to be such a monster? Who knew that it would keep blooming from early May until the first heavy frost? And the first couple of years, the esperanza and Mexican firebushes were small and made a lovely border to my driveway, their colors set off nicely by the black mulch that surrounded them. It looked tons better than the scraggly grass with all those half-buried plaster disks with cutesy garden sayings and little critters that lined the drive before. It still does, but I know I’m going to have to give the front a haircut... get things back to neat and tidy. Yep, all will be in balance once again. I just went to check my mail... guess what? I had another dad-gummed business card in my door. Si Señor Salazar Landscaping Gives You More! Hey Pepe... I’d rather do it myself! Besides... I used to do this for a living... granted it was a little less than half a century ago, but it’s not the kind of thing you forget. Water. It’s kind of a precious commodity... at least that’s what they tell us. So, we have to conserve it. Hey, I’m all about conservation. Critters that are endangered anywhere else in the neighborhood feel welcome in my back yard. I make it comfortable for them. I have lots of flowers and bushes for the hummingbirds, the bees, and the wasps. The raccoons enjoyed my tomatoes... I already told you about that. I have two bird houses hung on my fence that the wrens love. In fact, I have a pair of them that should have headed south a couple of weeks ago, but aren’t willing to give up their little blue condo. But, I digress. Back to water. I’m very careful with water. I run the dishwasher only about twice a week unless we’ve had company... you know, you have to get out the good china then. Laundry... once a week and then only two loads. Heck, there’s only two of us. When I shower, it’s five minutes in and out max, and I shave in the shower to save water. I keep all my faucets and spigots in good condition... new washers, seals and all that. Regular maintenance. I water my lawn sparingly... just enough to keep it from going completely brown like some of the other lawns in the subdivision. We’ve had enough rain in the last few weeks so I was even able to skip some of that. In short, I don’t waste water... period. 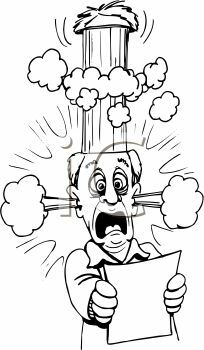 So, you can imagine my surprise when I opened my bill from the San Antonio Water System... SAWS... and saw that I had used 10,000+ gallons. That piqued my interest. Then I saw on the news where folks in town were getting bills that were double to quintuple what they usually run. I got suspicious. When a SAWS representative said that they hadn’t been able to read all of the meters because they "didn’t have enough staff," I got really suspicious. Now usually when they can’t get around to reading the meter, they present you with an “estimated” reading and adjust it the next time they actually read your meter. But my bill said “last reading” not estimated reading, which indicated they, in fact, had read the meter. Not that I don’t trust SAWS... I mean they are a city utility and why would they lie about a thing like that? Still I decided to check the meter. I walked down the driveway in my bare feet (I hate wearing shoes in the summer, by the way) and popped the metal SAWS lid on the meter well. Much to my surprise, the well was stuffed full of a newspaper. San Antonio Times even. I pulled it out so I could see the meter. It was a little damp, so it weighed about two pounds. Sure enough, there was the meter... you could see it clearly, even though it was obvious the ants had been busy mining and piling up dirt around it. I made a mental note of the number (it isn’t hard... it’s only three numbers) and went and got my ant killer. Really, it’s SAWS meter and they are supposed to be responsible for maintaining it, but, heck, how can you expect a meter reader to report that there are ants in the meter well? I mean. how bright do you have to be to be a meter reader? So I can see where the supervisors and execs in SAWS might not know about a paper stuffed down the meter well and invading ants. So, after treating for ants, I put the lid back on the well, picked up the soggy paper to dispose of it, and went inside to check my reading against their “reading” on my bill. Guess what? They didn’t match. As a matter of fact, when you used their little formula to calculate gallons, it showed that I had actually used half of what their reading indicated. HALF! The bill said they had read the meter on September 15th and I read it on the 25th. The paper that was in the well? August 26th. I’m thinking the meter reader just flat LIED. Now, my bill is never that high... even with all the fees they put on it, but I know that winter rates are based on your summer usage, which is why I conserve water. Okay... maybe I’m cheap. I don’t like high water bills in the winter, especially if it is a cool winter and I have to heat the house. That can get as expensive as cooling it down in the hottest part of the summer. And then there’s the Halloween, Thanksgiving, and Christmas expenses, not to mention the snack tab for all those football games. Still, my bill was almost twice what it usually is. So I was pissed (can you say that on a blog? Oh well, I guess I just did). I called SAWS. I punched all the right buttons to get to a person who would discuss my account charges with me. Guess what? I got a recording. “Due to the heavy call traffic, we are unable to take your call at this time. You are a valued customer, please call back.” I’m guessing at that last part, but it seems reasonable since all service providers tend to add that. Why am I guessing? Because when I heard that message I slammed the phone down. Hard. Now I have to take a trip to Walmart... and I hate Walmart. I wonder if I can send a bill to SAWS for that? Well crap. I got up early this morning. Did my workout with weights... damn you Jeremy Crow... before I had breakfast. Then I was going to go out and mow my lawn. Um, no. It was raining. So all that prep yesterday goes for naught. I spent an hour tuning up old Chug-a-lug (my mower), cleaning off all the dead grass on the deck, cleaning the air filter, and sharpening the blade. Chug-a-lug was shiny and purring like a kitten when I got done. “Only a 20 percent chance of rain tomorrow,” the weatherman on Fox News said. “Ten percent chance, but it will stay well east of San Antonio,” said the NBC weatherman. “Slight chance of rain tomorrow,” said the CBS weatherman. ‘Okay!’ I thought to myself, ‘I’ll have nice weather in the morning, cool and dry... perfect lawn mowing weather down here.’ Damn weathermen. I should have looked at the Old Farmers Almanac. They said, “Wet.” Guess what? They were dead on again. While I was busy working on my mower yesterday, I noticed my neighbor across the street pausing by his brush pile the city was due to pick up later in the day. Ian scratched his head and stared with a confused look. It was my fault. I had trimmed a couple of my trees and some of my bushes. Rather than start a new pile on my sidewalk, I just hauled the branches across the street and added them to his. Heck, it would make it easier for the pick up guys... one pile instead of two, not that they would have cared one way or the other. Since Ian kept walking around the pile, scratching his head and rubbing his chin, I figured I’d better own up to it. So, I left my blade sharpening half done, put the blade on my bench, turned off my grinder, and wandered down the driveway and across the street to where Ian still stood with a puzzled look on his face. Now, not to be mean, but frankly if I had a pile of brush and noticed that it had magically grown over night, I wouldn’t be wondering. I’d have figured somebody else took advantage of an existing pile and just chucked a few extra branches on it, not that it might be some sort of brush pile miracle. But I’m a logical kind of guy with a fairly good memory. Matter of fact, I remember that eraser throwing event quite clearly. I can still see the look on my teacher’s face. She was not happy... she never was able to brush all the white chalk off her black dress... so there was ample evidence to convict me in the Principal’s office. Teach me to raise my hand... not that I’d have gotten away with it... Sammy the Squealer sat next to me and I had a little chalk on my shirt too. But I digress. “Nope... it was just me. You weren’t sleep trimming,” I rejoined. I’m pretty sure Ian is suffering from short-term memory loss, but I had the good grace not to say it. He’s a nice old gentleman... did I just say that? I mean, I think I’m a year older than he is, but I neither feel it nor look it... and my look is getting better daily... thank you Jeremy Crow... I do tend to have a few aching muscles on a daily basis, however. I could do without that. Anyway, I hope Ian finds his memory soon... I’m going to recommend a few vitamin supplements to him. And next time we have brush pick up, I’ll pile my brush on my own sidewalk... maybe I’ll go get his and add it to mine. Fair is fair, after all, but I wonder if he’ll think somebody stole his pile. I’ll keep you posted. I was out in my garage tending to my soy bean crop. That’s right, you heard me... soy beans. I have a hundred and thirty two plants in pots... that’s all I could fit in my garage. I have an automatic drip irrigation system set up so I don’t have to worry about watering them. 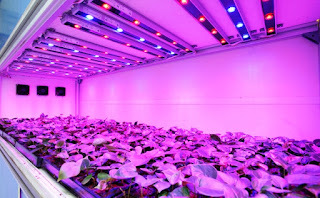 I have strips of blue and red light emitting diodes attached to the roof to promote rapid growth. “You can do that?” he looked puzzled. Duncan walked away shaking his head and I spent the rest of the day working on the set up. Early in the afternoon, I realized that I no longer had room in the garage to use my workshop. Considering I had to build outdoor racks for the soybeans for when I moved them, that made things a little inconvenient, but there was always the back porch. Late in the afternoon, my lovely returned home from her job. I knew she was home, because I could hear her honking the horn. I hurried through the house, trailing bits of sawdust, and went out through the garage to greet her and tell her about my latest experiment. For some reason, she didn’t look too happy. “Hi...” was about as far as I got. Well, Labor Day weekend has arrived. Yeah, I know, technically it doesn’t start until Saturday. Tell that to Bingo Bob. For Bob it starts on Friday. In fact, I’m starting to think every weekend starts on Friday for Bob. I know he works... he leaves at 7:30 sharp every morning Monday through Thursday . I know... you can hear Bob’s car. It’s not like he has glass pipes or anything, it’s just that he hit a rock when he was out four wheeling and punched a hole in his muffler... two years ago. He still hasn’t gotten it fixed. He has other priorities. Right now, he has two priorities, his boat and his smoker. Bob has a big boat... well, big for this neighborhood. It’s what we call a “bay boat.” It’s 21 feet long, has two big outboards on the stern and a cockpit console amidships with pole holders on the front... and a hole in its side where you can see all the wiring. I asked Bob once if he’d lost the access panel cover. He told me, “Nah, my friend George lost his footing and put his head through it.” Apparently George does drink on the boat. 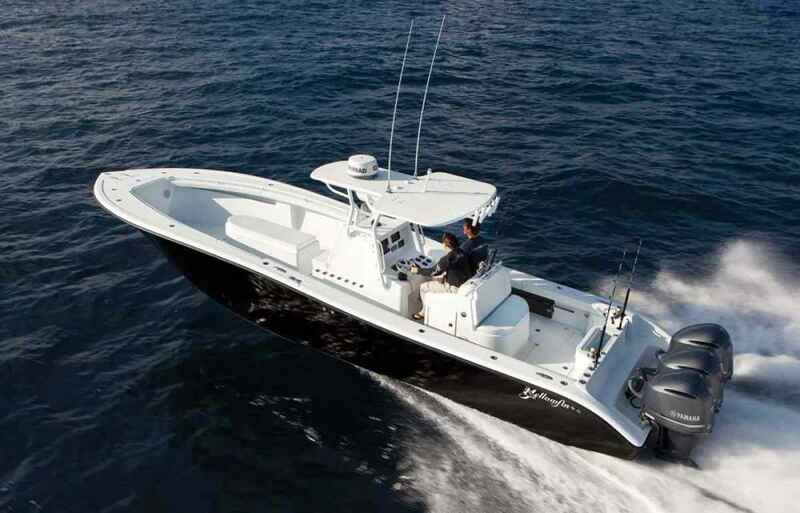 Bay boats are nice for fishing in the gulf bays off the coast of Texas. I wish I had one... maybe next year. In any case, Bob’s boat has seen better times. The paint is fading and you can see where it’s been patched from the times Bob ran into something. I don’t think Bob drinks when he’s on the boat. I just don’t think he pays attention. It must be the first time Bob has taken his boat out this year because when he fired up the twin outboards, they smoked almost as much as his smoker does. Bob shut them down and disappeared into his garage, returning a moment later with a case of motor oil. He put a quart in each motor and then stowed the rest of the case on the boat. It’s good to be prepared. Bob disappeared again, but this time he didn’t come back. I soon found out why. An angry black cloud rose from Bob’s back yard. Yep... he’d fired over that beast of a smoker that he has. I wish he was the only one. Unfortunately, he isn’t. I knew that by tomorrow the entire subdivision was going to look like Los Angeles on a really bad day. Labor Day just isn’t Labor Day in Texas unless you are torturing meat... and your neighbors. Of course hardly anybody considers it torture, it’s a tradition, not to mention that it’s sort of like thumbing your nose at the EPA, which appeals to most Texans anyway. You see, we don’t consider it “bad air” when all those grills and smokers are going... it’s aromatic and appetite whetting. Who doesn’t like that? In Texas, we don’t have to buy mesquite chips to throw on charcoal in our smokers... we have the real McCoy. We even have a town named Mesquite. Guess why. Yep, the stuff grows almost everywhere. And if you don’t have a friend with some land where you can go cut some of the stuff, there are plenty of folks who sell it by the cord. Just stack some in your smoker, set it afire, let it burn down to coals and close the damper most of the way. Instant mesquite smoke. Then you take a slab of meat, preferably brisket that has been treated for a few days with a rub (everybody has their own special recipe) or a couple of racks of baby back ribs, but really any kind of meat will do, slap it on the grate and close the lid. Let it slow cook in there while you make tater salad, cole slaw, and borracho beans (don’t forget to add a can of Bud light... that makes them yummy). In a few hours you have a feast fit for a king... and every Texan thinks he are one. All that is left is to add a couple of cases of your favorite brew, a pitcher or two of margaritas, hire a local mariachi band and, carumba, it’s fiesta time! Yep, we do up Labor Day weekend right. 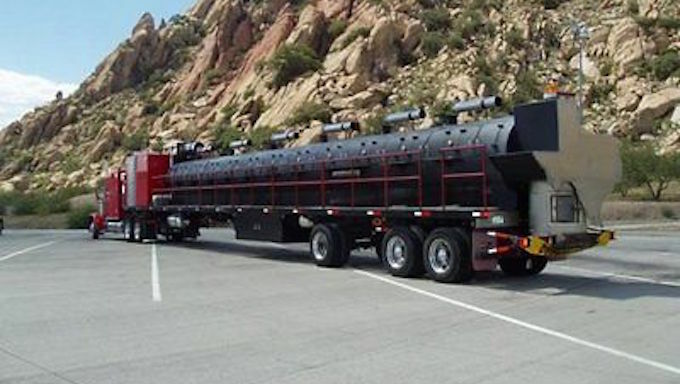 Texas even has the world's biggest smoker... check it out! Bob wandered over, rubbing the soot from his face. “Get a little close to the lighter fluid?” I asked. I just nodded. You see, that’s why I go the weekend before Labor Day weekend. The price difference is over two hundred bucks a night. It’s also why I go to the coast during the off season. Not only is it less costly, the competition for space on the piers and beaches is way less. I like it that way... and my mama didn’t raise a fool. “Have a good time,” I said. Y’all have a happy Labor Day Weekend, ya hear? !